With all the features and options available in the web hosting industry today, it comes as little surprise that many web hosting beginners feel a bit overwhelmed. I personally was a hosting beginner not too long ago, and can clearly recall thinking that I would never be able to gain the knowledge necessary to create and launch my site, however, after spending a bit of spare time reading up on the industry, I came to the conclusion that it really wasn`t web hosting wasn`t nearly as difficult as it appeared to be. After all, if some snotty little 8-year old kid can make a nice-looking, fully functional personal homepage, how hard can it be? 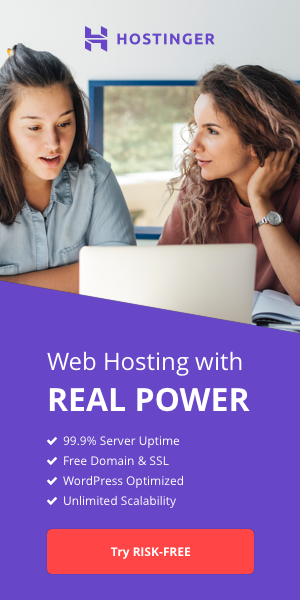 For the hosting beginner, mastering the technical terms of the web hosting industry is nowhere near as important as understanding what kind of host is the right kind for your particular web site. Generally speaking, web sites can be divided into one of three large categories: Personal/Small Business Homepages, E-Commerce Web Sites, and Information Providers. The type of host you choose depends a great deal on what category your site falls into. The next section is dedicated to discussing each of these three major categories, and which type of host is best suited to each category. A personal homepage or small business website is generally the smallest and most basic type of web site, and does not require a lot of disk space or bandwidth. As a result, you have one of two plausible options when choosing the type of web host for your site, Virtual Hosting or Free Hosting. If you plan to offer goods for sale on your website, your site will be far more complex, and also need to be able to handle more traffic and data transfer. For E-Commerce sites, there are three viable solutions: Co-location, Dedicated Server, and Virtual Hosting. Information Providers are generally the largest types of sites on the web, and must be designed to handle a lot of traffic. That being the case, Information Providers usually must take a more serious, and more costly approach to web hosting. If you are going to be creating a larger site that will be used as a source of information to users around the world, consider either investing in your own server equipment, choosing a Co-location Server, or a Dedicated Server. Virtual Hosting is a type of hosting where you "rent" space in a large server, and share that server with other web sites. The advantages of Virtual Hosting are that it is extremely cost efficient, and offers a variety of functions and options to suit nearly any site. The disadvantages of Virtual Hosting, however, are that you are at the complete mercy of the server. If you happen to pick a bad server, your site could be down for long periods of time, costing you lots of potential visitors that will not come back a second time. 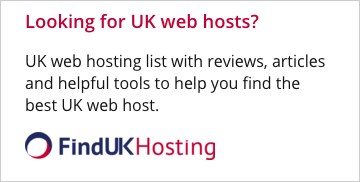 Free Hosting is a type of hosting where you get space in a larger site for free, provided that you allow the site to advertise on your homepage. The advantages of Free Hosting are that it costs nothing, and therefore requires no investment other than a little bit of time. Free Hosting programs also do provide a number of good options for your site, and allow you to create a fully functional, attractive web site for free. Although it does have a number of advantages, Free Hosting also has an equal number of disadvantages. With nearly all free hosts, users can not use an individual domain name, but typically are forced to use something like this www.theirname.com/yourname. In addition, Free Hosting packages offer limited space and file transfer, and do not offer options like email. Co-location hosting is a type of hosting that uses your server equipment located in a secure, state of the art facility in another location. The most significant positive aspect of Co-location hosting is that it provides you with the ultimate in control over the speed and reliability of your site. With Co-location, your site is basically as good as you want it to be. The most significant negative aspect of Co-location is that it is rather expensive. Servers do not come cheaply, nor do the technicians that you will need to look after it. As a result, Co-location is the least attractive option based on the high initial cost, but is an excellent alternative for extremely serious or financially-free webmasters. Dedicated Server hosting is a type of hosting where you rent an entire server, and is a good solution for serious webmasters lacking the initial startup capital to purchase their own server. Dedicated Server hosting offers a high degree of control, and offers a lot of disk space and file transfer. Because your site is the only one being served by your dedicated server, you can also count on a fast connection. The advantages of Dedicated Server hosting is that it offers everything you need to get top quality service, without having to purchase a server. The disadvantages are that it is significantly more expensive than Virtual Hosting, and does not offer the same levels of control that are available with Co-location hosting.